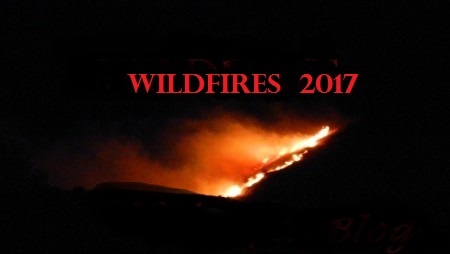 A wildfire ignited around 1330 hours on Saturday, August 5, 2017, just outside of Waitsburg (Walla Walla / Columbia Counties) in Washington State. The 4-alarm wildfire burned approximately 1300+ acres of wheat and CRP grasses in the Weller Canyon Road area. The fire was brought under control and in mop-up operations around 1630 hours. Therefore, State Mobe and additional resources were cancelled. Evacuation orders were lifted. Mutual aid resources from Benton / Franklin County were requested along with State Fire Mobe resources. Command was staffed by a County IMT Type 4 team. Follow us on our Social Media Channels! You can follow us here on our Official Fire Blog, on Twitter @nwfireblog and our Facebook Page. Great job to firefighters and all those who worked super hard in hot temps, dry conditions and continuing with your passion for firefighting in putting out the fire, saving lives and property! -Ed. ← Destructive CA Wildfire Turning into Firestorm | New!